Adam Nawalka will leave his role as Poland head coach at the end of the month following their World Cup elimination at Russia 2018. Nawalka took over as national team boss in 2013 and guided Poland to their first-ever European Championship quarter-final three years later. They suffered defeat to eventual champions Portugal on penalties in that last-eight match in Marseille, but their World Cup campaign was less successful. Despite qualifying with eight wins from their 10 matches, Poland failed to deliver on the big stage and were eliminated after losing their opening two Group H encounters. Those reverses to Senegal and Colombia confirmed another group-stage exit, their 1-0 win over Japan a mere consolation in what turned out to be the final outing of Nawalka's reign. At a media conference with Nawalka on Tuesday, Polish Football Association president Zbigniew Boniek confirmed the 60-year-old's departure as they turn their attentions to Euro 2020. "I am very sorry but I am optimistic about the future of Polish football," said Nawalka. 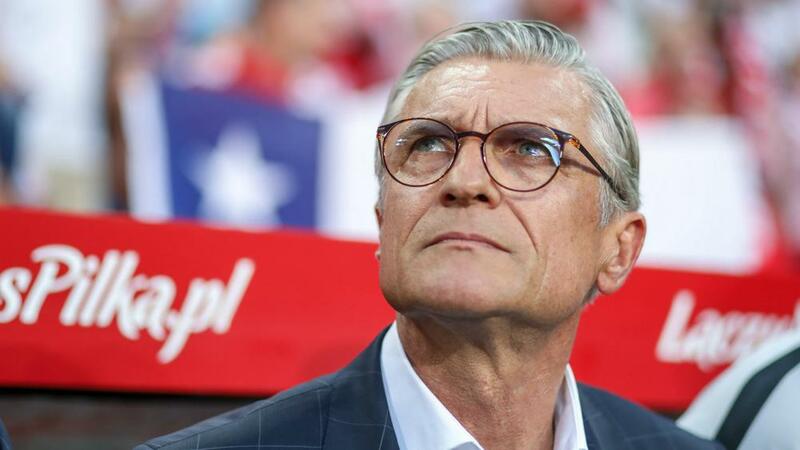 "We have fulfilled the plans, and Polish football has made great progress during my term. "Of course, I feel responsible that at the championships we have not met expectations and ambitions, our own and fans. "I take full responsibility, because it's always the role of a trainer and I do not run away from it. With dignity I accept a wave of criticism: sometimes malicious, sometimes substantive. "We analysed the championship in terms of what was good, but above all bad, because we did not do what we assumed. I take a critical approach to what has happened and many applications will be useful for a new trainer. And I am ready to help him at any time, because the experience of the last four years is invaluable. "Every day with the national team was a fantastic experience. It was an honour to represent Poland." On the identity of Nawalka's replacement, Boniek said: "I can reassure you that I will be guided by experience and intuition when it comes to choosing a new coach. "The most important thing is to prepare a team for the European Championship. The task for the new coach is to qualify. "Adam Nawalka has left this team stronger than when he started."